Our British Airways flight out to Hong Kong had plenty of legroom and comfortable seats. The in-flight entertainment was great and the staff were very pleasant. We departed at 6 pm from Heathrow Terminal 5 and were made to feel very welcome whilst being looked after very well. The return flight was a night flight departing Hong Kong at 11.45pm and, sadly, wasn't as comfortable. The lights were dimmed straight away for people to sleep. The Grand Harbour Hotel Hong Kong was beautiful. The entrance was very grand with a huge chandelier and sweeping staircases, which left us very impressed. My room was lovely, spacious and overlooked the harbour. The rain shower in the bathroom was a definite plus and the hotel has a rooftop terrace bar with stunning views over the city. Breakfast was epic. I have never seen such an array of food and the choice was immense, suiting all pallets. Our second hotel, the Hard Rock Macau, was just as fantastic. It offered easy access to bars, restaurants, casinos, nightclubs, shows and shopping centres - all of which were linked via an underground system between lots of hotels. The hotel had a very trendy feel, with music memorabilia, guitars and song lyrics on the walls. I was given a suite, which was massive and very comfortable. The swimming pool area was very relaxing and had an oasis feel. House of Dancing water show - a must see! 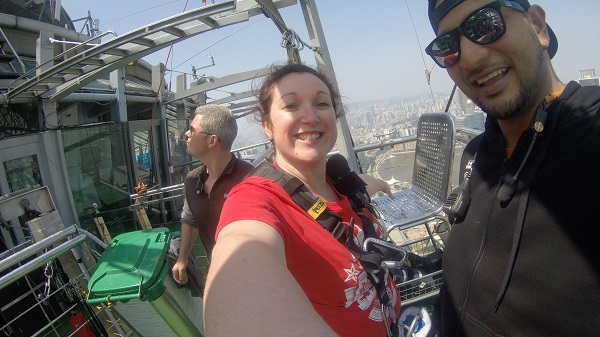 I most enjoyed the Bungee Jump. 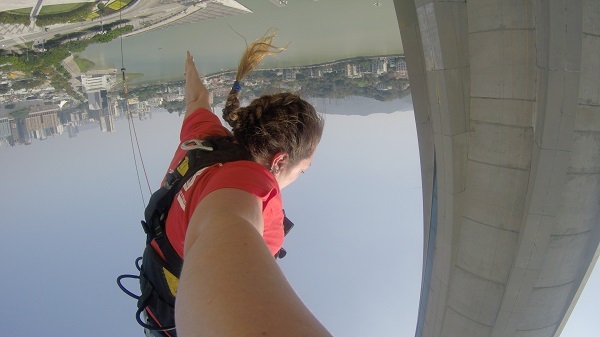 At 233m, it is actually the world’s highest bungee. This was just amazing and I am so glad I had the opportunity to do it. The whole trip was very well planned and executed. All the restaurants were pre-booked and the food was beautiful. This was a trip of a lifetime, VIP style and I cannot thank Royal Caribbean enough. This trip was spot on. I enjoyed every second of it. Hong Kong is such a diverse city, but not as busy as I thought it would be. Despite a population of 7.3 million people, the roads were surprisingly quiet. This is maybe because public transportation is very popular and a preferred choice of travel. 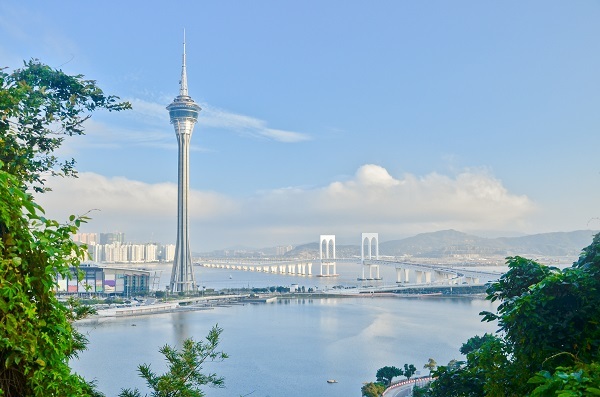 Macau is only one hour from Hong Kong on the ferry and is well worth a visit. It is literally a mini Las Vegas. 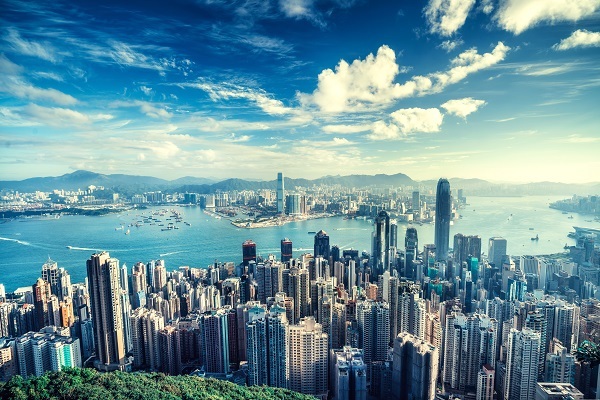 If you would like to visit this part of the world and experience the vibrant culture of Hong Kong, our team would love to help plan your holiday. Visit one of our East Anglia travel agents of any of our stores on the south coast.